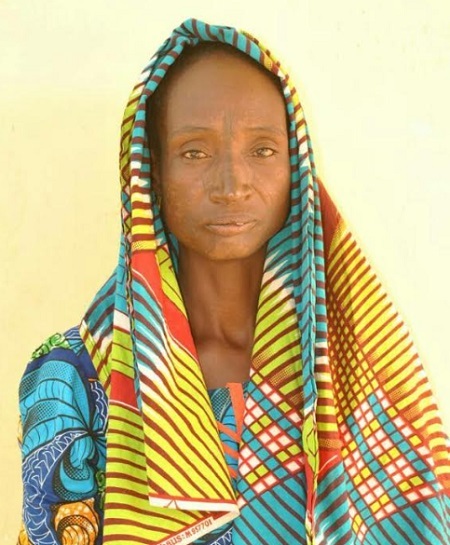 Police in Niger on Thursday arrested a 55-year-old grandmother, Aisha Ibrahim, for killing her two-year-old granddaughter at Karaya Fulani camp in the Rafi local government area, according to NewTelegraph. It was gathered that the woman was dragged and arrested by police detectives attached to the Kagara Division while trying to escape to an unknown destination. The findings did that she tied her big child with the rope and threw her inside a well in their compound so as to humiliate the child's mother. It was learned that the incident occurred when his son, Bello Ibrahim, and his wife left their child in custody to attend a baptismal ceremony in a nearby village. The suspect and his daughter-in-law have had a series of misunderstandings since her son married her, which prompted her to kill her daughter. Other checks revealed that the suspect who was looking for a way to take care of his daughter-in-law took advantage of their exit to perform his evil act. The grandmother of the deceased, from Funtua Katsina State, told our correspondent on Thursday that since his son married his wife, there have been many problems that can not be solved. As a result, she said, "I told my husband to tell his son to divorce his wife, but he did not listen to me. My daughter-in-law likes to insult me ​​and attack me all the time and the only way to pay her back is to tie her daughter with the rope and throw her inside to die so that she feels the pain and the agony I have been through. " "We lived in peace as a big family before my son married her, I have 12 children and we all live in a compound, she can not come from somewhere to destroy the family that I suffered during years, unacceptable ". When asked if she regretted her action, the suspect said "it was the temptation I did not know when I did it, I can just say but may Allah forgive me, honestly it was a nasty act that can never be accepted anywhere in the world "
Confirming the incident, the police's public relations officer, Muhammad Abubakar, said the suspect confessed to the crime and regretted his gesture. Abubakar added that she would be brought to justice after investigation.